In today’s ORIGINS, Cheryl Pappas discusses the origins of her story, “A Stone’s Throw from Home,” which appeared recently in jmww. “A Stone’s Throw from Home” was born out of frustration. I was in graduate school when I wrote it, and I had been writing a lot of fables and fairy tales. It was my thing. My writing mentor had suggested I try a straight, realistic story— without a collective character, without a fantastical element, without a mysterious bird or fruit. Well, I tried, but my stories fell flat. She then delivered some bitter medicine: maybe I should take off the spring term to recharge. It was late fall, toward the end of the term, and I had one more story to write. I felt discouraged and, at the same time, cornered. “A Stone’s Throw” poured out of me in one sitting. I saw the whole thing: the party, the kiss in the kitchen, the view of the sparkling lake by the deck, the brothers, and the three little boys and the stones. After the first draft was down, I read it aloud a dozen times, tinkering with it. It wasn’t a bad story. The structure felt a little wobbly and I probably had too many symbols sticking out, but all the right people were in it and I liked the rhythm of the sentences. I slipped the envelope containing my story in the mailbox, went home, and took a long nap. My mentor emailed me a few days later to say she loved it, even with the little fairy tale I’d snuck in there, and asked that I not take the next term off because I’d ended this one on such a high note. It felt so gratifying, and I relished that I’d worked so hard; this story was built on so many previous failures. In the end, I did take the break. I think I was afraid I wouldn’t be able to produce another “Stone’s Throw.” The following summer I returned to the program, clear and refreshed. The experience taught me the power of limitations in creating art: going against the grain led me to a deeper place in my writing, and the impending deadline gave me just the juice I needed to create something new. Now, years later, without a mentor, I still remind myself about this lesson when a story just isn’t working. This story also, oddly, serves as an origins story for connections I’ve made in my life, if you believe in that kind of thing. The same month I wrote “Stones from Home,” I met an American man in Florence, Italy, who would become a good friend. I found out after I wrote the story that he had two brothers and an Italian grandmother. Four years later, I met his younger brother: a wise-cracking, handsome man who wore a black leather jacket and who was the wildest of the three, like Mark. He wasn’t a writer like my character, but I did marry him. 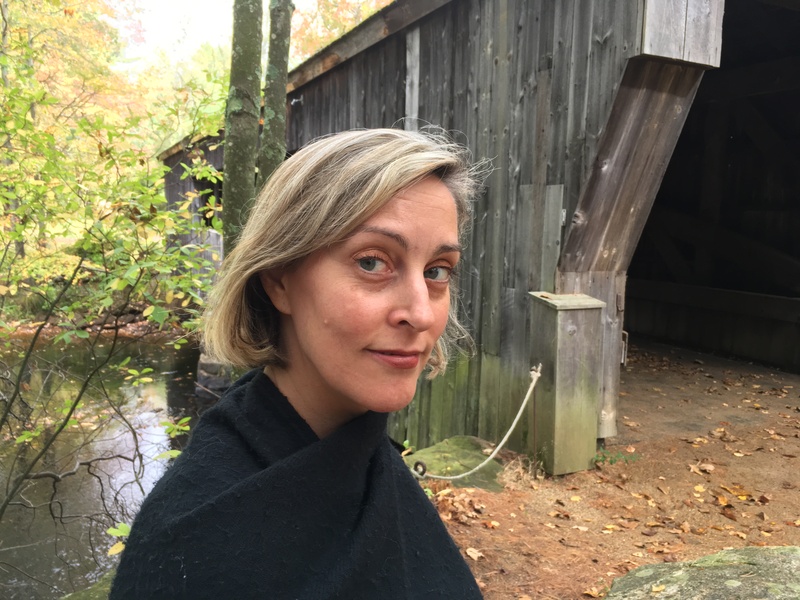 Cheryl Pappas is a writer from Boston. Her fiction has appeared or is forthcoming in 100 Word Story, The Bitter Oleander, Cleaver Magazine, SmokeLong Quarterly, and more. Her website is cherylpappas.net.